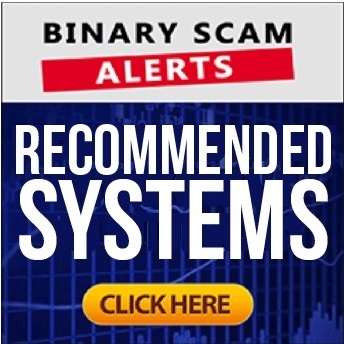 Binary Scam Alerts is posting a severe scam notice related to illegal activity, specifically credit card fraud conducted by the Phoenix Trading App and William Johnston from the Marshall Sherman Group. Our staff has recently been swamped with a series of freighting complaints from traders telling us their credit cards were overcharged in an apparent conspiracy between Phoenix Trading and shady brokers operating out of Kazakhstan and Moldova. Traders are tricked by William Johnston into funding a binary options trading account with some shady unregulated brokers such as Optionmint or Inside Option. After depositing with their credit cards traders were astonished to see they were overcharged significantly, and are now planning to pursue these scam brokers and the Phoenix Trading APP with a class action suit. Needless to say I was not shocked, but quite startled at the audacity and level of disregard these people have towards paying clients. However, at this point and time I will not reveal all brokers involved in this scam until everything has been clarified and all claims refuted with evidence and proof of fair play. What is the Phoenix Trading APP and What Does it Do? This automated trading software is downloaded to your computer and supposedly integrates to a broker. Auto-traders (BOTS) take positions or buy contracts based on pre-selected criteria and trade on your behalf. Similar systems include Virtnext and Mike’s Auto Trader, which are probably the only ones I can actually recommend these days despite some of the bad reviews they picked up here and there. The problem is with the Phoenix software is that it’s a rehash of an older scam called the Coffee Cash software and we heard a lot of people lost their money on that scheme. Everything about this App and William Johnston screams scam for a variety of reasons. First, there is no Marshal-Sherman, and if you Google it you will just see a collection of review sites rightfully slamming this bogus offer. Fake testimonial pictures are just re-shuffled image bank photos that are set up in order to deceive potential customers and convince them the software is legitimate. By the way, people don’t really place importance on false advertising since it we have become accustomed to accepting it as a just another form of marketing, however these tactics lead to heavy fines and at times even extended prison sentences. Valid Proof of Winning Trades? The only evidence provided is the fake photos of some image bank actors and excerpts of supposed successful trades on a fake Twitter and Facebook feed which is not even clickable. This is obviously a cheap and sleazy attempt to create a sense of legitimacy and honesty, however after a closer inspection it’s quite easy to identify the same criminal-type patterns of manipulation these rip-off artists have implemented in their bogus offers. Please make a note of this, the only relevant proof you will ever need is actual screenshots of the trading history inside the broker account, anything else is just recycled code or performance widget designed to trick you into funding your account. William Johnston (fictional character) is telling telling you to register for the software, when in reality you are signing up for a broker. This is the most deceptive part of the con job, since choosing a broker is almost a religious process that demands extensive research and understanding of the market and how things actually work in this business. Remember that at the end of the day your broker will be wiring you the money, and not the nitwit in the commercial. If you are told you will be making $10,000 a day on Auto-pilot simply close the advertisement you are looking at and consider looking for alternative methods to supplement your income. You are very well on your way to getting ripped-off by professional con-artists who have been doing this for a long time. If you recall insured profits, the free money system (Walter Green), Binary Matrix Pro, the Mockingbird Method, Channel Ranger, and Insider John are all based on the same technological and marketing base designed to squeeze money out of innocent victims and into the hands of the affiliate marketers and brokers. Believe it or not there are still some great ways you can profit these days trading binary options, however if you are looking for a ready-made or done-for-you system that will generate infinite wealth for you, then you need to wake up and understand that there is no such thing. The Phoenix Trading App and William Johnston is an obvious scam and the broker that takes your money will steal your credit card information, over charge it and bleed you dry with nothing left in your wallet. I strongly urge you to stay away from this thieving software, and definitely not download anything on your computer, mobile device, or tablet since there is a high probability it will be infected with viruses and malware as this is a growing trend these days as we have seen in the Citadel and Centument Apps.